After months of rumors of backroom dealing, hacked emails that provided a grimy window into those discussions, and plans for spinoffs that sounded like cries for help, it’s official: Spider-Man is finally joining the Marvel Cinematic Universe, thanks to a new partnership with Sony and the lesson of sharing your toys. Marvel made the announcement late last night, saying that Spider-Man would make his first appearance in a Marvel film yet to be named—though the smart money is on Captain America: Civil War, where Spider-Man factored heavily into the comics storyline. The Wall Street Journal, home of smart money, goes so far as to say that outright. 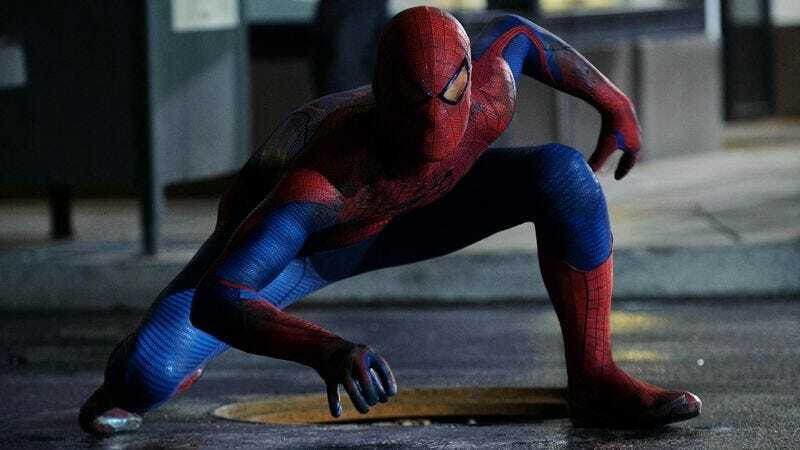 Following that, Spider-Man will get his own, new solo film back under the Sony banner on July 28, 2017, with Marvel’s Kevin Feige partnering with the recently ousted, but similarly under-new-management Amy Pascal to develop “a new creative direction for the web slinger.” As part of that new creative direction, Amazing Spider-Man producers Ari Arad and Matt Tolmach will take on executive producer roles, while Andrew Garfield will likely not take on any role at all. And presumably, all previous Spider-Man movies will be erased from the collective consciousness, as is our national ritual every five or so years. The new spider-initiative is already shaking up the Marvel slate, pushing everything back six months or so: Thor: Ragnarok moves to Nov. 3, 2017, Black Panther to July 6, 2018, Captain Marvel to Nov. 2, 2018, and Inhumans jumps to July 12, 2019. And while talk of whether Spider-Man might factor into any of those—or any other Marvel Studios movies down the road—is still just speculation at this point, the agreement obviously opens the door for him to crossover with any and all Marvel characters (that aren’t the X-Men or Fantastic Four), whether it’s in their films or his own over at Sony. Henceforth, everyone from Thor to Tony Stark to Black Widow can gather around Spider-Man, listening patiently as he once again recounts the tale of how he transformed from mild-mannered Peter Parker for another 120 minutes. As for Sony’s hopes to create its own Spider-Man “universe,” those plans now seem to be on hold, on account of just now remembering that Spider-Man already has a universe. The Wall Street Journal says that the supervillain team-up Sinister Six has been delayed, while both that still-mysterious, female-led spinoff and Venom have long since quietly faded from discussion. For those who were hoping to learn about Aunt May’s days as a spy, it seems you might have to settle for Spider-Man going on an adventure with The Avengers. Just try to embrace it, in this new spirit of everyone playing nice.